Under Nadia Zilla Parishad there are 17 Blocks, 187 Gram Panchayats and 2142 Gram Samsads. At every level the Community Health Care Management Initiative (CHCMI) Programme has been implemented with intensive efforts by three tires Panchayati Raj System. Rs. 10000/- for each Gram Samsad has been utilized on Public Health Related fields, such as, Sensitization / Awareness shibir at villages, wall writing on Public Health Related matters, proper hygiene, drainage, Tube-well plat form repair, maintenance of cleanliness, honorarium to Self help groups engaged in CHCMI Programme at grass root level, Conveyance of poor ailing people to Health Centre, campaign on various infectious diseases etc. At present, all Block sensitization, 173 G.P. 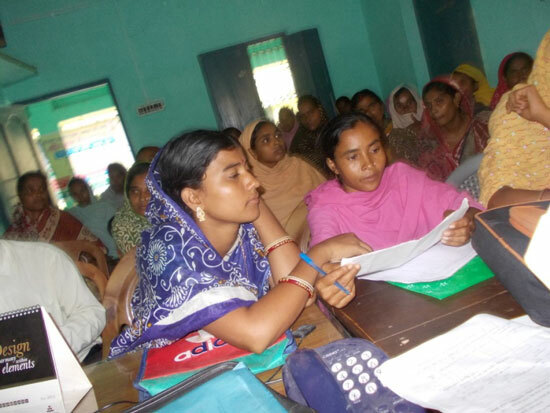 sensitization and 1232 GUS & SHG training have been completed on CHCMI. All the SHGs are engaged in monthly monitoring work on preventive, promotive and over all awareness building initiative with close contact with all the families, especially the back-word families. 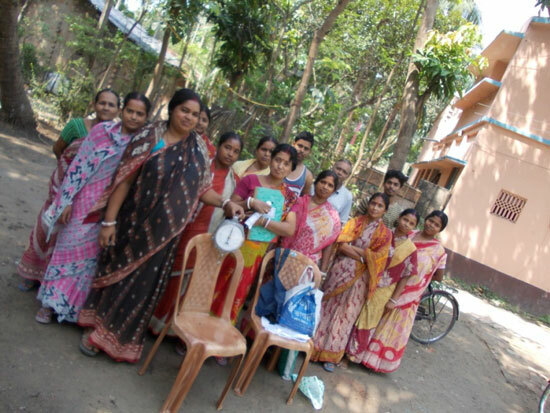 At present, 1843 Village Health Sanitation and Nutrition Committees (VHSNC) have been formed in Gram Samsads. Efforts from all levels are on for convergence in VHSNC, monthly meeting of VHSNC in Gram Samsad level on Public Health, meeting in Sub-centre and 4th Saturday meeting (CHCMI) in G.P. level. Mass contact with people by dint of convergence in Health Department, ICDS Deptt. and Gram Panchayat by virtue of CHCMI Programme have been achieved. As a result percentage of Immunization of child and pregnant woman, Safe maternity, family planning awareness on removal of low-aged marriage, resistance to woman trafficking, awareness, hygiene maintenance, cleanliness in families and decrease of maternal death, infant death have been achieved. Under District Public Health Cell, Nadia Zilla Parishad, there 55 Homoeopathic Dispensaries (Budget Head), 13 Ayurvedic Dispensary (Budget Head) and 52 Homoeopathic Dispensaries (Ayush, NRHM) at G.P. level, have been running where the poor ailing people get free treatment and medicine.